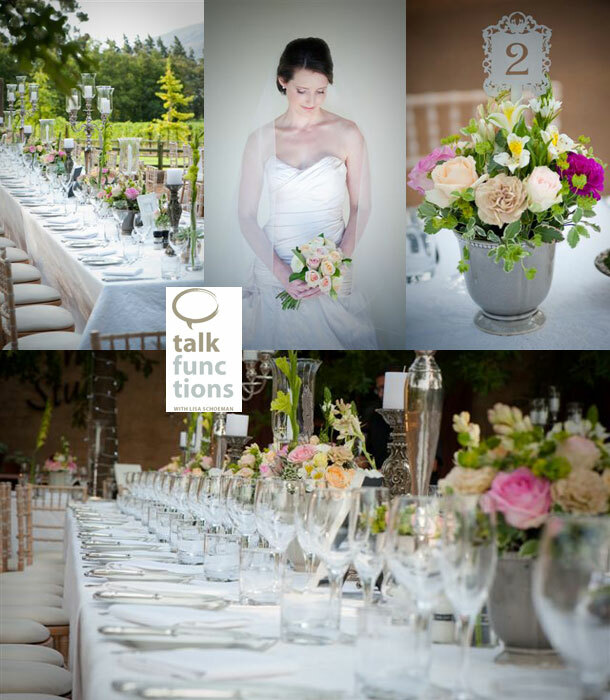 Lisa from Talk Functions shares one of the fantastic weddings she planned for Amy and Johnnie. This couple wanted a relaxed and intimate wedding with family and their closest friends. Amy wanted to create an environment for emotion and love to shine through. Laughter, mixing of people, dancing and great food and wine was part of this very special day. Amy wanted an elegant and beautiful and sophisticated look and feel. Together with Daisy Floral Art we created a fresh summery English Garden. Lara Designs created the beautiful stationery using a feminine pattern which complimented all the beautiful textures. Lauren Kriedemann Photography captured the day with its special moments and all beautiful décor shots which emphasized the attention to detail and of course the stunning couple. The ceremony took place in the historical town of Paarl at the Strooidakkerk which is the oldest church building in the country. 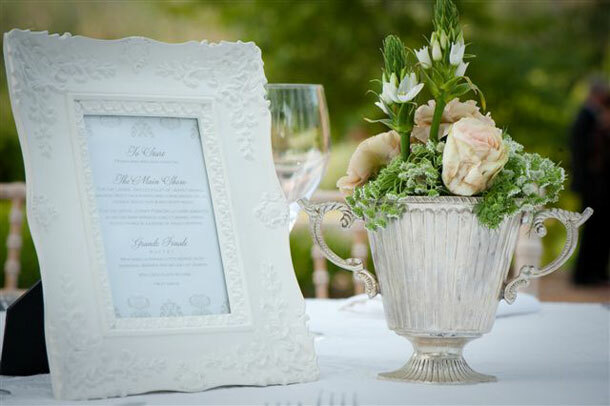 The reception took place at La Petite Dauphine in Franschoek which is one of the quaintest towns in the Western Cape were the scenery is breathtaking. The wedding reception was held outside were the guests had the best views of the majestic mountains surrounding them. In the evening the fairy lights in the trees came to life creating that oh-so magical finishing touch. This was a truly magical wedding to coordinate.